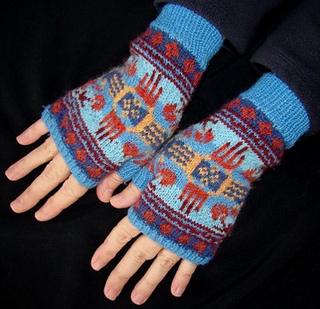 Fair Isle gloves with southwestern flair! The main motif is a Zia symbol with “arrows” on the diagonals. 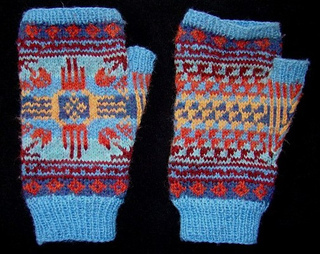 The stripe motifs and palm pattern are taken from Pueblo pottery. I didn’t record the exact yardage that these gloves use, but it’s less than a 1/4 of a ball for all but 1 color.